Every year Cumbria and Lancashire Wing run a Junior NCO Development weekend. this is designed to give new or aspirant young leaders some basic skills and help them develop their leadership ability. Amongst the activities on offer to Cadets on this programme are – Taught leadership session, practical leadership activities with command task and initiative exercises through to the direct roles of a young leader on a Squadron in terms of dress and discipline. 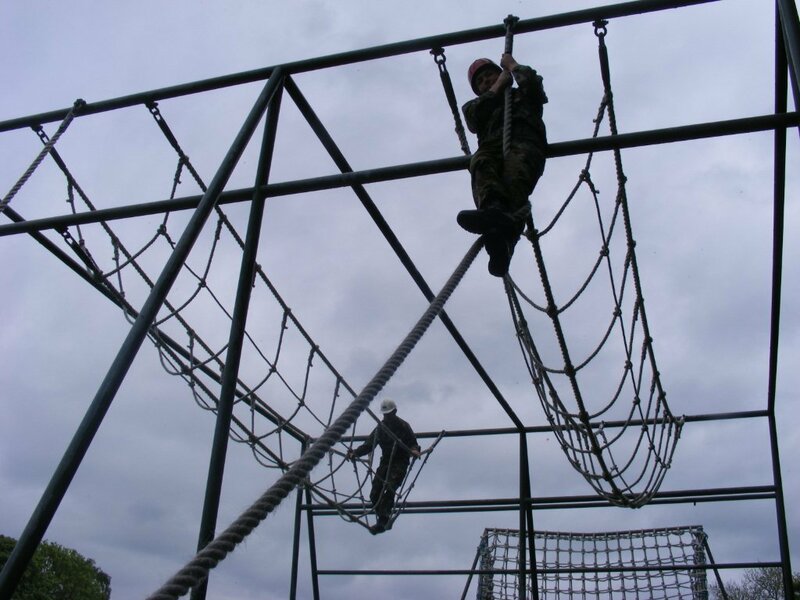 This year the weekend was held at Halton Training Camp near Lancaster where the Cadets were able to make use of the Obstacle Course and try out their new skills first hand! This year 6 Cadets from 967 attended the weekend, Cdt Shields, Cdt Lenney, Cdt Parker, Cdt McManus, Cdt Swann and Cdt Howarth. All 6 performed well and will gain some useful experience and feedback from the course. Staff from 967 are also present to instruct on the programme, this year Flying Officer Faulkner led the activities on Saturday evening which pushed the Cadets in terms of their physical and mental strength. If you fancy developing your leadership abilities the ATC is an ideal place for both Cadets and Staff. A challenging career awaits anyone who has what it takes!